Traverse through Delhi’s Red Fort, Jama Masjid, Chandni Chowk market and Raj Ghat (Gandhi Memorial) and then time to visit the magnificent Taj Mahal and Agra Fort, experience the travelling time with Indian Railways from Agra to Haridwar. Rishikesh is the gateway to the Garhwal Himalayas and the exquisite camp site at Shivpuri beach loaded with some adventurous activities. Enjoy travelling time with Indian Railways from Haridwar to Delhi at the end. Learn the art of Yoga and Meditation in Rishikesh, the city of holy river Ganges. As it begins with Delhi by exploring the famous Red Fort (Closed on every Monday), Jama Masjid a great mosque of Old Delhi and the largest in India, then you visit the busiest streets of Chandni Chowk market and later visit Raj Ghat (Gandhi Memorial - Father of the Nation). In Agra visit Agra Fort also known as Red Fort of Agra and is the sister monument of Taj Mahal, it is also described as a walled palatial city. 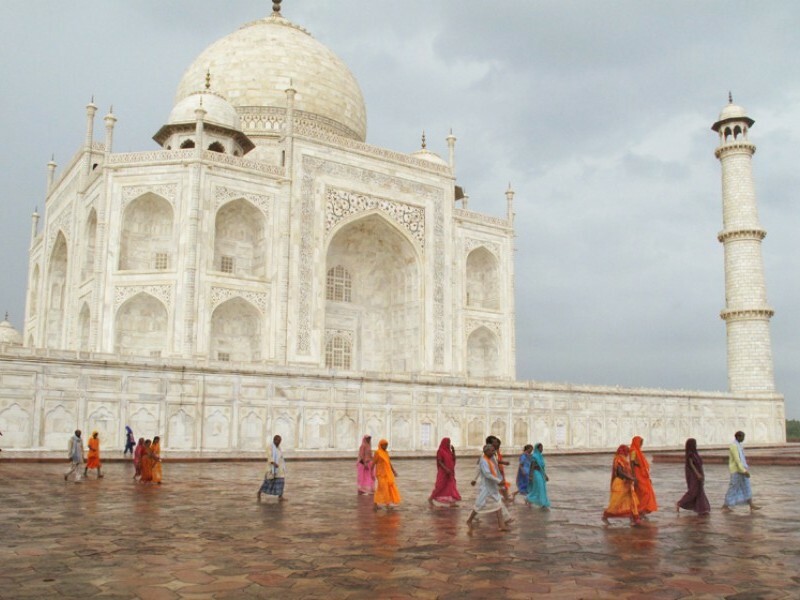 Then visit the magnificent white marble tomb Taj Mahal during sunset, Taj Mahal also known as a symbol of eternal love. Board the day train from Agra to Haridwar and enjoy travelling with Indian Railways. Reach Rishikesh which is The Gateway to the Garhwal Himalayas located on the bank of River Ganges and considered to be the spiritual town where one can do Yoga, meditation and adventure activities such as white-water rafting. A chance to experience the evening puja ceremony held beside the Ghat at Parmarth Niketan (an ashram). Indulge yourself in practicing different techniques of Yoga and meditation in the morning, later drive to Shivpuri beach which is the best place for camping beside River Ganges. One can do various types of adventure activities here like white-water river rafting, body surfing, trekking, bungee jumping, flying fox and visit to waterfall. Then you head towards Haridwar which is a holy place for Hindus and from here river Ganges enters to the plains. You will also visit the famous Ghat of Haridwar that is Har-ki-Pauri where many pilgrims from different part of India come for the holy dip to wash away their sins and perform rituals on the banks of river Ganges. Next morning board an express train for Delhi and reach Delhi then fly back home to the end. Arrive at the Indira Gandhi International Airport, Delhi our KVT’s representative will meet and greet you there and would assist you at the airport. Later board the vehicle and transfer to hotel for check-in. Evening you can explore the city on your own. 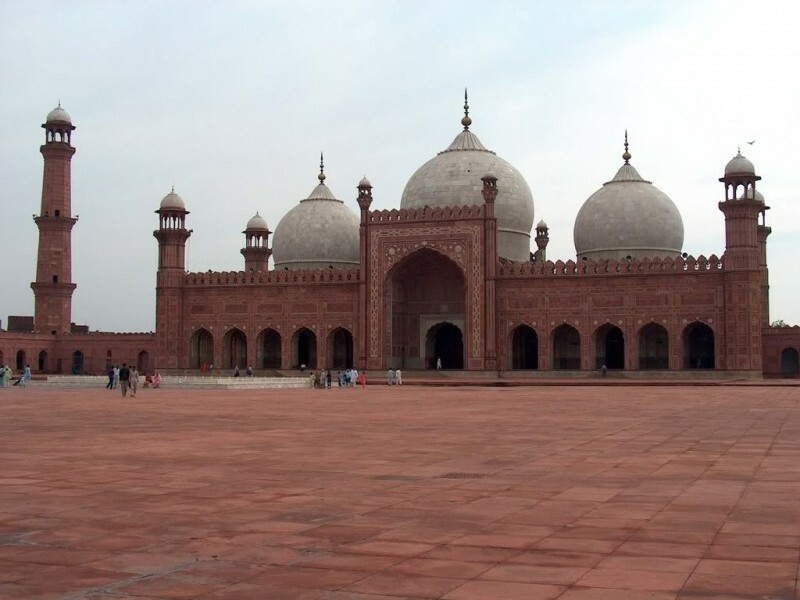 Morning we proceed for the half-day sightseeing tour of Delhi; visit Jama Masjid is the largest and best-known mosque in India. 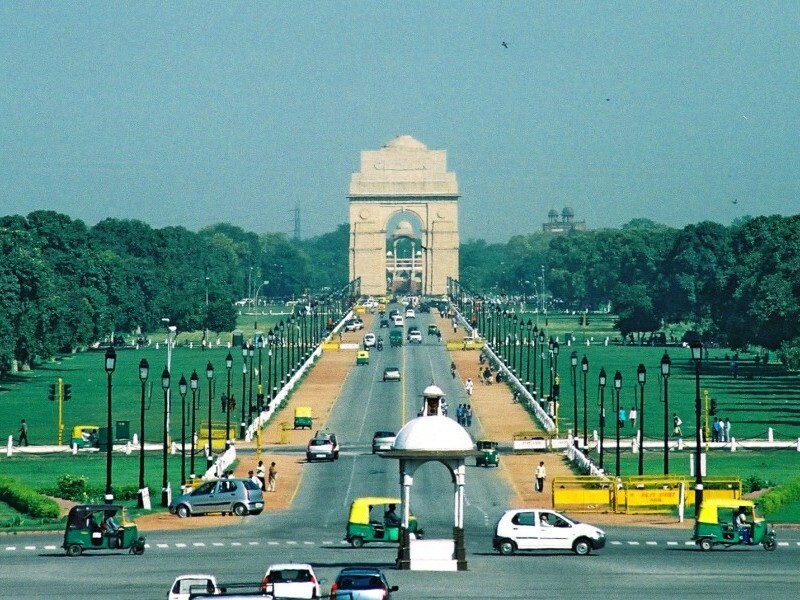 Then we visit Rajghat - the memorial to Mahatma Gandhi; India Gate also called All India War Memorial located at centre Delhi. Then we drive pass through and watch the fine colonial buildings built by the British Raj in the early years of the 20th century and set in spacious tree-lined boulevards; it now houses various Indian governmental departments. Today we drive from Delhi to Agra (Distance: 240km appx), upon arrival check-in to the hotel. Later we visit Agra fort, red sandstone walls enclose the beautiful white marble Pearl Mosque and the palaces, halls, courtyards and fountains. During sunset we visit Taj Mahal (remain closed on every Friday), Taj Mahal is a symbol of eternal love which stands on the banks of River Yamuna. It was built by the 5th Mughal Emperor Shah Jahan in the memory of his beloved wife, Mumtaz Mahal, who died in 1631. The Taj Mahal is serenely beautiful and never fails to amaze a first time visitor. Train to Haridwar, drive to Rishikesh. This morning we catch the day train from Agra to Haridwar, upon arrival we drive to Rishikesh (Distance: 30 Km appx) and check-in to the hotel. Rishikesh is a small town famous for meditation and yoga and considered to be the “Yoga capital of the world”. 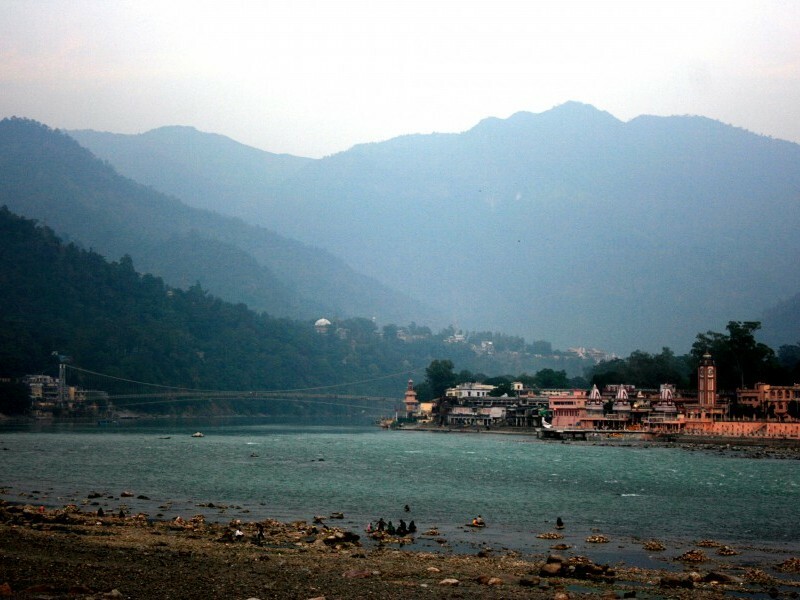 Rishikesh is surrounded by scenic beauty of the hills on three sides with Holy Ganga flowing through it. It is also the gateway to Himalayas and being the banks of river Ganges it is an ideal destination for the adventure activities such as rafting, trekking, rock climbing and kayaking. The whole place is considered to be sacred for Hindus; evening is free for us to relax at the hotel. Attend yoga and meditation classes; afternoon Rishikesh sightseeing. Today morning we learn some techniques of yoga practices which would include Prayers, Asanas for relaxation, Asanas for correction and simple techniques of Pranayama, meditation and Om-chanting. Late afternoon we visit explore this small town and the local market, we visit Triveni Ghat, Ram and Laxman Jhula also visit many of its ashrams, evening we witness the evening ceremony at parmarth niketan. This morning also we learn some techniques of yoga practices and meditation classes afterwards we drive towards Shivpuri beach camp (Distance: 20km appx) and relax. Shivpuri is a small village and popular for white water rafting and beach camps; here we will be staying in beach tents. The camps will indeed have the most scenic view of the River Ganga and the mountains. During these days we will encounter ourselves with the challenges of adventure such as river-rafting, trekking, bodysurfing, cliff jumping and visit to waterfall etc. Enjoy bonfire daily in the evening. Drive to Haridwar, visit Har-Ki-Pauri. Morning after breakfast we drive towards Haridwar (Distance: 50km appx), reach there and check-in to the hotel, afternoon relax at the hotel. 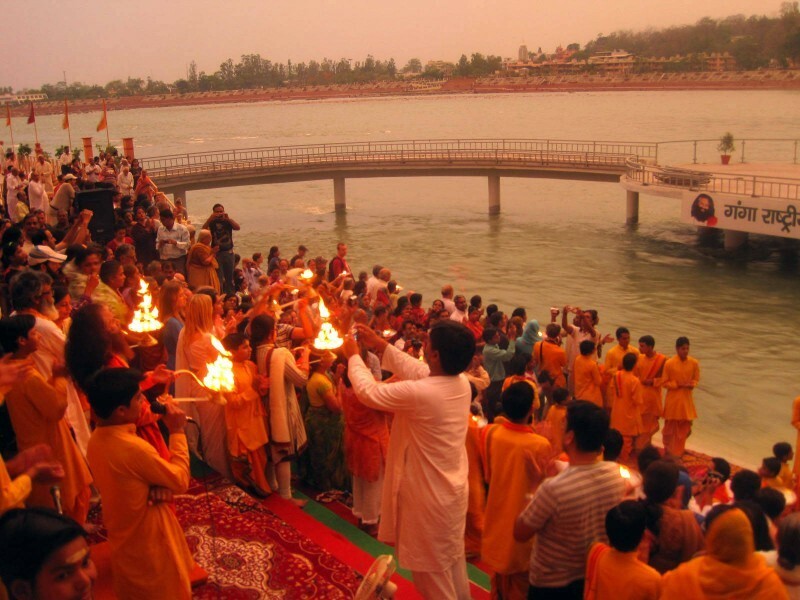 Later in the evening we visit Har-Ki-Pauri to witness the evening puja ceremony on the River Ganges Ghats. The Ganges enters the plain lands from Haridwar onwards and Har-Ki-Pauri Ghat is considered to be one of the most auspicious Ghats to take a holy dip in the sacred waters. Today early morning transfer to railway station to board the express train to Delhi; reach Delhi and you will be transferred to the Indira Gandhi International Airport, Delhi to board your onward flight.